« Where are those Anonymous Firefox Add-On Ratings Coming From? 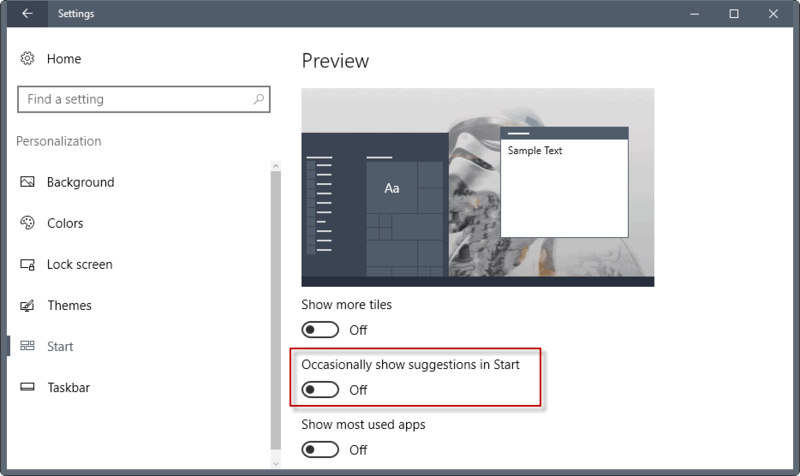 What started with pre-installed third-party apps and suggestions in the Start Menu, has grown to ads in other locations such as the lockscreen, the File Explorer, and the taskbar. Microsoft does not differentiate between systems that were upgraded for free to Windows 10, and bought Windows 10 licenses. Good news is that you can turn off most ads on Windows 10. The following two Registry files let you turn ads on or off on Windows 10 devices. Please note that the files allow you to turn off most ads but not all. The reason for that is that some features cannot be turned off using the Registry Editor. The second part of this guide lists all locations, and provides you with instructions on how to disable ads for these locations as well. Turn off File Explorer ads. Disable “Get tips, tricks, and suggestions as you use Windows”. Turn off Game Bar tips. Note: I suggest you create a backup of the Windows Registry before you run the files, or the Windows system as a whole. To use the file, simply double-click on it. Accept the UAC prompt in the next step of the process, and confirm the Registry Editor warning message as well. You can open the file in any text editor to take a look at it before you run it. As I mentioned earlier, it is not possible to disable Windows 10 from showing ads in some locations as you cannot control the functionality using the Registry Editor. The following instructions offer manual ways to disable Windows 10 ads. This includes instructions for ads that you cannot turn off using the Registry. We talked about turning Start Menu ads before here on Ghacks. These suggestions are listing application suggestions near the top of the start menu. This included in the past free apps or games, but also commercial applications or games. One of the issues that you may have with the listing is that it is near the top. This means that it uses valuable space there that your program listings could fill out instead if it would not be there. Microsoft started to show suggestions to use Microsoft Edge in the very same location recently (for instance stating that you could stream videos longer with Edge). Go to Personalization > Start. Locate “occasionally show suggestions in Start”, and toggle the option so that it reads off. The Windows 10 lock screen may feature two different types of ads. First, you may see wallpaper ads. Microsoft showed a Tomb Raider wallpaper for instance there at one point in time. It looked really nice, but it was still an ad. Microsoft may also display suggestions and tips there. You have two options here. First, disable the lock screen entirely. Or, and that is probably better, switch to a local wallpaper image instead. Select Picture or Slideshow under Background (not Windows Spotlight). Also, toggle “Get fun facts, tips, tricks, and more on your lock screen” to off. Get Office and Get Skype are two apps that may be installed on your device. The first advertises Microsoft Office 365, the latter the Skype application. Select System > Apps & Features if you run Windows 10 version 1607 or earlier. 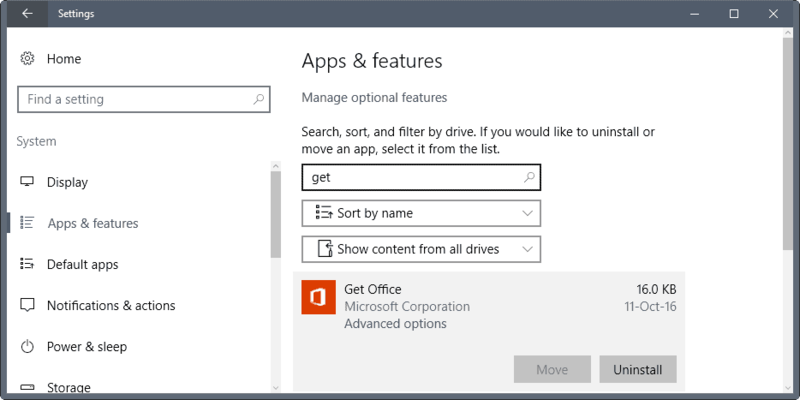 Select Apps > Apps & Features if you run Windows 10 version 1703 or later. Search for “Get” using the search form. Click on Get Office or Get Skype, and select Uninstall to remove the application from the device. Windows 10 may display suggestions, tips or tricks directly on the taskbar. Microsoft did so in the past to advertise Microsoft Edge for instance, showing that it is more secure than Firefox, or that it has a better battery life than Google Chrome. We talked about the taskbar nags on Windows 10 here already. Windows 10 may also display a welcome screen on start after updates, and show what’s new or suggested when you sign in. Locate Get tips, tricks, and suggestions as you use windows, and toggle the feature to off. Locate Show me the Windows welcome experience after updates, and occasionally when I sign in to highlight what’s new and suggested, and toggle the feature to off as well. If you use the Ink Workspace of Windows 10, you may have seen application suggestions there already. These work similarly to the Start Menu suggestions, only that they show up when you open the workspace, and that they are powered by a different setting. Switch to Devices > Pen & Windows Ink. Locate show recommended app suggestions, and turn the feature off. The most recent location where ads appeared on Windows 10 is File Explorer. The built-in file browser showed an ad for Office 365 to some users directly in the center of File Explorer. Even worse, there was no option to turn the ad off completely, as you could only select “not now” when it was displayed. This suggests that it will be spawned again at a later point in time. 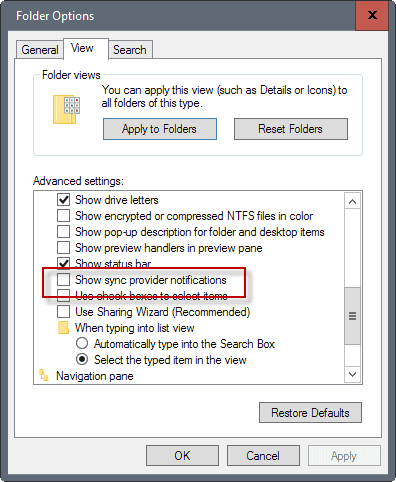 Scroll down until you find show sync provider notifications. Uncheck the option to turn off File Explorer ads. There are a couple of other things that I’d like to mention. First, that the operating system’s live tile functionality for application icons in Start may display ads. 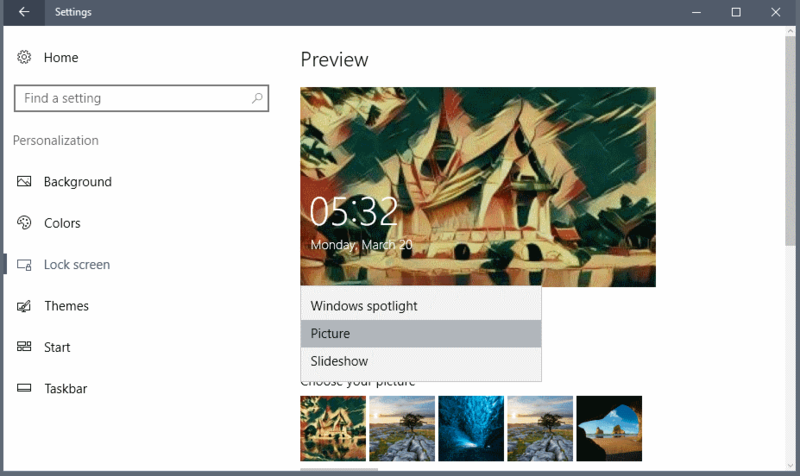 You can turn off live tiles with a right-click on the tile, and selecting more > turn live tile off. Some apps can be uninstalled as well if you prefer that. You can also uninstall apps that shipped with Windows 10 by default to get rid of them. Or, and that is also an option, install an application like Classic Shell to replace the entire Start Menu (and get rid of any ads this way). Microsoft increased the locations that it displays what it calls suggestions or tips slowly but gradually. It seems likely that we will see even more ads further down the line. I will update the guide whenever new ad locations become known. If you know of another location, let me know and I’ll check and update the article asap. This entry was posted on Tuesday, March 28th, 2017 at 10:41 am	and is filed under tech tips. You can follow any responses to this entry through the RSS 2.0 feed. Both comments and pings are currently closed.